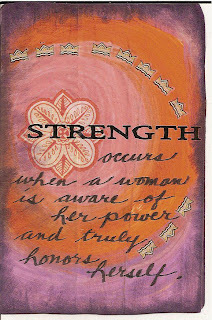 My verse says"Strength occurs when a woman is aware of her power and truly honors herself." I painted my card with multi colored circles and then added rub ons. I finished it off by inking the edges.